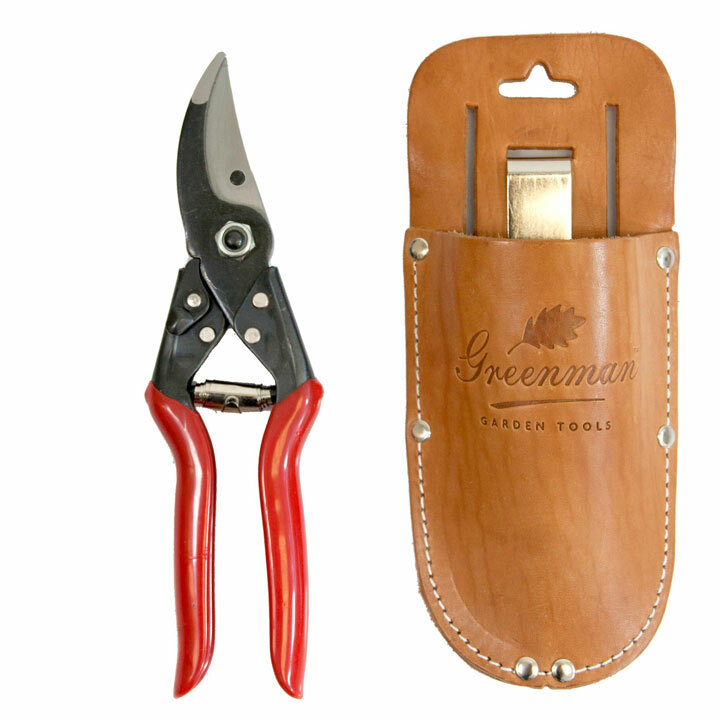 With a maximum cut of 25mm (1") on live stems, these Greenman secateurs have strong steel handles and heavy duty blades, perfectly suited to larger hands. Length 23cm (9"), width 6cm (2½"), weight 0.3kg. Complete with FREE stylish high grain leather holster with belt loop and clip to keep your trusty secateurs close to hand. Limited stock available - order now. Complete with free leather holster!